Plans to tackle knife crime are being blocked amid fears over the cost of jailing offenders. 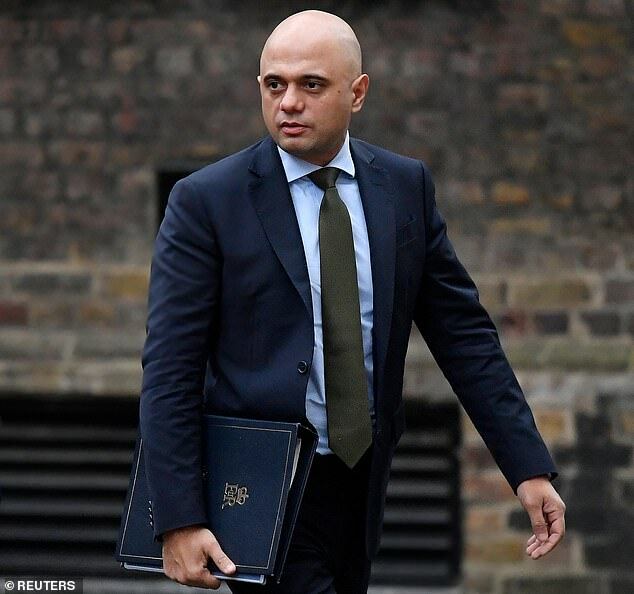 In a bid to tackle a surge in stabbings, Home Secretary Sajid Javid is proposing to use Asbo-style powers against thugs. Breaching these ‘knife crime prevention orders’ would be a criminal offence, potentially punishable by prison. But Mr Javid’s colleague David Gauke, who is responsible for jails, has questioned the plans, saying they could ‘accelerate the criminalisation’ of young people. The Justice Secretary has also raised concerns about ‘affordability’ when the prison system is under huge pressure. His stance casts doubt on the Government’s commitment to combat spiralling crime in ‘Wild West Britain’. ‘There was a time when Conservative justice secretaries used to believe prison worked,’ said a senior Conservative Party source. There have already been more than 250 fatal stabbings in England and Wales this year – including at least 120 in the capital. The knife crime orders were drawn up by the Home Office following a request from senior police officers. They would cover youngsters caught carrying a blade for protection but who are not regarded as serious offenders. Mr Gauke made his opposition clear in a letter circulated in Whitehall and seen by the Mail. Written last week, the letter said: ‘I remain to be convinced of the evidence that these orders will be effective in reducing knife crime, especially possession, among young people. ‘Bearing in mind the intention to move to a public health approach, I am concerned that these orders will accelerate the criminalisation of young people rather than address the wider social issues around carrying knives. ‘Given our existing messages on knife crime and the statutory minimum sentences, there is a real risk that the courts will feel compelled to impose custodial sentences – often very short custodial sentences – for breach of an order. 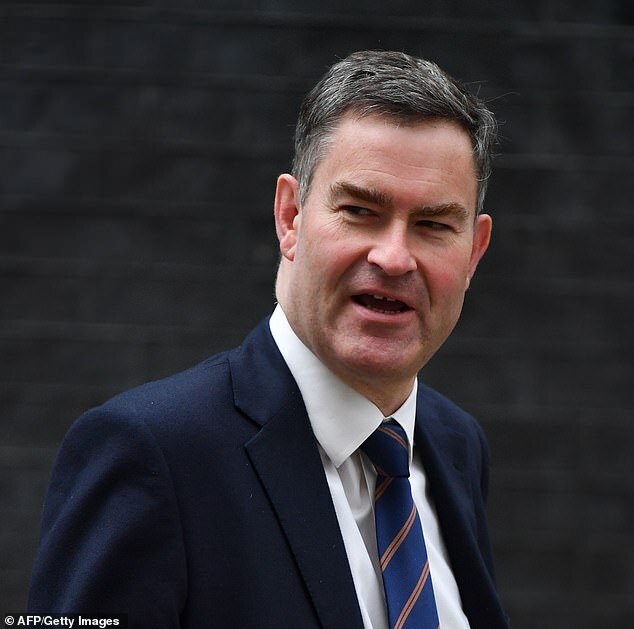 Mr Gauke said he supported ‘giving full and careful consideration to any gaps in police powers’ and wanted to provide additional support over knife crime. He said he had asked his officials to work on other measures. Last night sources denied Mr Gauke had sought to veto the plans and was instead asking for more information about them. Mr Gauke’s department is struggling to deal with spiralling levels of violence and drug use in the jail system. Any sharp increase in inmate numbers would put the prison estate under greater pressure. Mr Javid has said it is his mission to combat stabbing and has called for more police funding and greater use of stop and search powers. 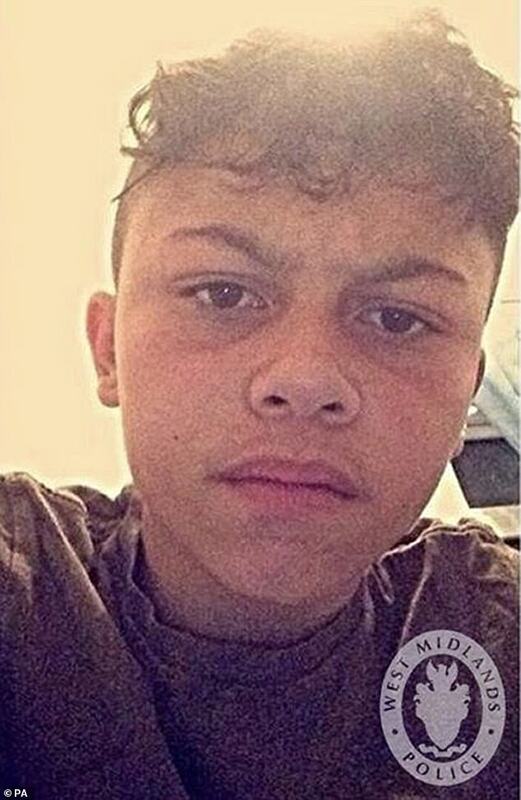 In the latest example of the knife crime menace, 16-year-old Jaydon James was stabbed to death in Coventry on Saturday. His sister Jayda said he was not in a gang and was killed by ‘grown men’ simply because of the neighbourhood he lived in. Last week it emerged that the number of children being admitted to hospital with stab wounds has almost doubled in four years. A total of 573 under-18s were taken to A&E with potentially life-threatening knife injuries last year. This was up 86 per cent from 308 in 2014-15. Around 50 who received treatment for ‘assault by sharp object’ were aged ten to 14. Four had not even turned nine. Earlier this month the Mail revealed that around four in ten criminals caught more than once with a knife are spared prison. Judges are not required to jail repeat offenders when particular circumstances would ‘make it unjust to do so’.